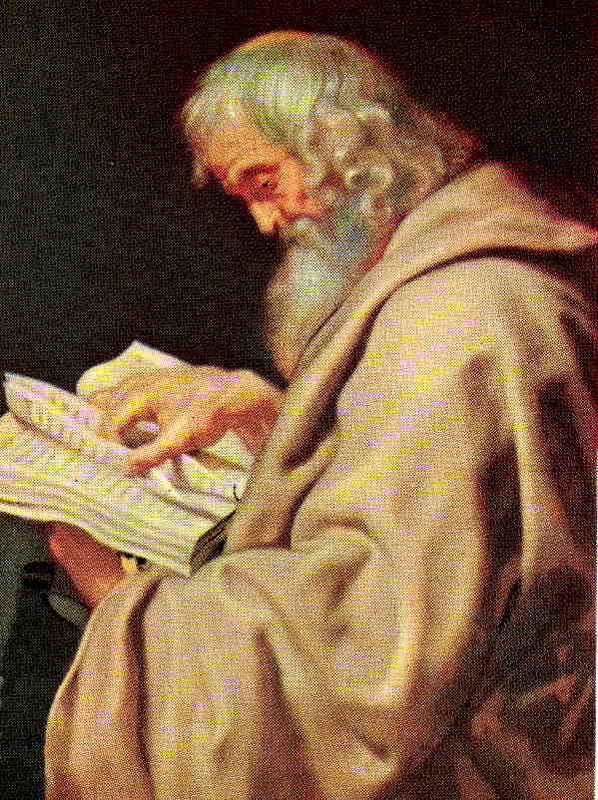 Saint Simon, called the Cananean and the Zealot, was a brother of James and Jude and, therefore, a cousi n of Christ. There is a tradition that he preached in Egypt and Persia, and that he was martyred with Saint Jude. I have chosen you; and have appointed you, that you should go, and should bring forth fruit, and your fruit should remain.” These words were addressed by the Man-God to you, as to all the twelve. And yet, what remains now of the fruit of your labors in Egypt, in Persia? Can our Lord and His Church be mistaken in their words, or in their appreciations? Certainly not; and proof sufficient is, that, above the region of the senses, and beyond the domain of history, the power infused into the twelve subsists through all ages, and is active in every supernatural birth that develops the mystical body of our Lord and increases the Church. We, more truly than Tobias, are the children of saints; we are no longer strangers, but the family of God, His house built upon the foundation of apostles and prophets, united by Jesus, the chief cornerstone. All thanks be to you, O holy apostle, who in labor and sufferings procured us this blessing; maintain in us the title and the rights of this precious adoption. Great evils surround us; is there any hope left to the world? For thee, O Simon, this is surely the time to prove thyself Zelotes, full of zeal. Deign to hear the Church’s prayers; and aid her, with all your apostolic might, to reanimate faith, to rekindle charity, and to save the world.